Scott Aquanno teaches at the University of Ontario Institute of Technology. He has published widely on monetary policy innovation, inflation and the political economy of finance and globalization. His current research focuses on the governance of modern capital markets in relation to innovative investment and looks comparatively at the recent evolution of US and German financial policy. Dan Breznitz, is a Professor and Munk Chair of Innovation Studies, with a cross-appointment to the Department of Political Science. In addition, he is also Co-Director of the Innovation Policy Lab at the Munk School and the Director of Academic Research. Professor Breznitz is known worldwide as an expert on rapid-innovation-based industries and their globalization, as well as for his pioneering research on the distributional impact of innovation policies. He has been an advisor on science, technology, and innovation policies to multinational corporations, governments, and international organizations such as the World Bank, the World Economic Forum, TEKES, IFC, Fundación Chile, the United Nations, and the US-Israel Science and Technology Foundation. In 2001, he was awarded the GTRC 75th Anniversary Innovation Award for Public Service, Leadership, and Policy for this work. In 2008 Breznitz was selected as a Sloan Industry Studies Fellow. Breznitz spent eight years in Georgia Institute of Technology (Georgia Tech) as a professor in the Scheller College of Business, the Sam Nunn School of International Affairs and the School of Public Policy before moving to Toronto in 2013. In an earlier life he founded and served as a CEO of a small software company. 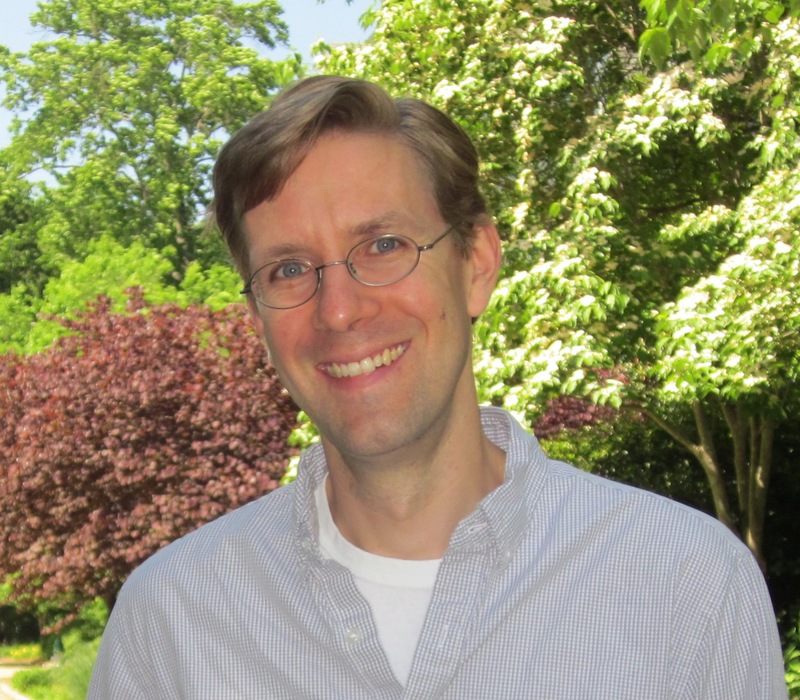 Breznitz’s work has been sponsored by the National Science Foundation, USCC, Sloan Foundation, the Kauffman Foundation, EI2, Connect Innovation Institute, the Samuel Neaman Institute for Advance Studies, the Bi-National Science Foundation, the Institute for Information Infrastructure Protection, and the National Bureau of Economic Research. Shiri M. Breznitz, an economic geographer, specializes in innovation, technology, and regional economic development. Her research is at the critical intersection of theory and policy to fit the new realities of globalization. Professor Breznitz’s work has informed policymaking at the local, national, and international levels. She has advised on the role of universities in the larger story of innovation, on the economic impact of biotechnology, and on the role of clusters in driving innovation. Professor Breznitz’s latest book, “The Fountain of Knowledge” with Stanford University Press (July 2014), analyzes universities’ relationships with government and industry, focusing on the biotechnology industry as a case study. She is also, together with Professor Henry Etzkowitz, editing the book “University Technology Transfer: The Globalization of Academic Innovation.” Additional work by Professor Breznitz has been published in Regional Studies, Canadian Journal of Regional Science, Economic Development Quarterly, Journal of Product Innovation Management, and The Journal of Technology Transfer. Jutta Brunnée joined the Faculty of Law as Professor of Law in 2000, and holds the Metcalf Chair in Environmental Law. She holds law degrees from both Dalhousie University and Johannes Gutenberg-Universität, Germany, and an undergraduate diploma from the Université de Dijon, France. Prior to her appointment at the Faculty of Law, she taught at the law schools of the University of British Columbia and McGill University. During that time, she served for a year as Scholar-in-Residence at the Oceans, Environmental and Economic Law Division of the Canadian Department of Foreign Affairs and International Trade, advising on matters such as the Biodiversity and Climate Change Conventions. She has also participated in numerous Canadian and international initiatives related to environmental issues. Ron Ron Deibert, (OOnt, PhD, University of British Columbia) is Professor of Political Science, and Director of the Canada Centre for Global Security Studies and the Citizen Lab at the Munk School of Global Affairs, University of Toronto. The Citizen Lab is an interdisciplinary research and development hothouse working at the intersection of the Internet, global security, and human rights. He is a co-founder and a principal investigator of the OpenNet Initiative and Information Warfare Monitor (2003-2012) projects. Deibert was one of the founders and (former) VP of global policy and outreach forPsiphon Inc.
Deibert has published numerous articles, chapters, and books on issues related technology, media, and world politics. He was one of the authors of the Tracking Ghostnet report that documented an alleged cyber-espionage network affecting over 1200 computers in 103 countries, and the Shadows in the Cloud report, which analyzed a cloud-based espionage network. He is a co-editor of three major volumes with MIT Press: Access Denied: The practice and policy of Internet Filtering (2008), Access Controlled: The shaping of power, rights, and rule in cyberspace (2010), and Access Contested: Security, Identity, and Resistance in Asian Cyberspace (2011). He is the author of Parchment, Printing, and Hypermedia: Communications in World Order Transformation (New York: Columbia University Press, 1997), and the recently published Black Code: Inside the Battle for Cyberspace (McClelland & Stewart/Random House, 2013). He has been a consultant and advisor to governments, international organizations, and civil society/NGOs on issues relating to cyber security, cyber crime, online free expression, and access to information. He presently serves on the editorial board of academic journals such as International Political Sociology, Security Dialogue, Explorations in Media Ecology, Review of Policy Research, and Astropolitics. Deibert is on the advisory board of Access Now and Privacy International. He is a member of the board of directors of Lake Ontario Waterkeeper and is on the Steering Committee of the World Movement for Democracy. Marc Dupont is Managing Director, Government and Public Affairs at the Ontario Teachers’ Pension Plan. Prior to this role, he led Government and Public Affairs functions at Methanex Corporation and DuPont Canada and was a Policy Advisor to the Canadian Minister for International Trade. Marc is a sessional instructor at the University of Toronto’s Munk School of Global Affairs. Marc is a lawyer and holds a B.A. in History/East-Asian Studies and a LL.B. from the Université de Montréal. He was a Fulbright Scholar and also holds an M.A. in International Relations and Economics from the Johns Hopkins University School of Advanced International Studies. A recipient of the Canada-China Scholarship, he also studied at the People’s University in Beijing. He is fluent in French, English, Spanish and Mandarin. Mike Durland is the former Group Head and CEO, Global Banking and Markets for Scotiabank. He retired from Scotiabank in 2016 to pursue a variety of business, philanthropic and academic interests. Today, Durland is the CEO of Melancthon Capital, a member of the Business Strategy Committee for the Global Risk Institute, the Chair of the Board of Directors of DeepLearni.ng, a founding principal in Cabot Links, a member of the Board of Directors of TruLeaf Sustainable Agriculture, a member of the advisory board of Riipen Networks Inc, a member of the Board of Directors of the Dalhousie Medical Research Foundation, a member of the Advisory Board of the Smith School of Business at Queen’s University, a member of the Advisory Board of the Center for Social Impact at Queen’s University and the Master of Management Analytics Program at Queen’s University. Durland holds a B Comm degree from St. Mary’s University, a PhD in Finance and Operations Research from Queen’s University and an honorary Doctorate from St. Mary’s University. Todd Foglesong joined the Munk School of Global Affairs at the University of Toronto as a Professor of Global Practice in 2014. He teaches courses on the governance of criminal justice and the response to crime and violence in global context. In cooperation with the Open Society Foundations, he is developing a peer-based system of support for government officials that seek to solve persistent problems in criminal justice. Recent papers, speeches, and publications on measuring the rule of law, pretrial detention, the response to violence against women, and the role of surveys in development can be found here. Between 2007 and 2014, Todd was a senior research fellow and adjunct lecturer in Public Policy at Harvard Kennedy School (HKS). Between 2000 and 2005 Todd worked at the Vera Institute of Justice, creating a center for the reform of criminal justice in Moscow and founding Risk Monitor, a non-governmental research center in Sofia, Bulgaria that supports better public policies on organized crime and institutional corruption. Before that, Todd taught political science at the Universities of Kansas and Utah. Meric S. Gertler began his term as the 16th President of the University of Toronto on November 1, 2013. Prior to that, he served as the Dean of the Faculty of Arts and Science—the largest faculty at the University—from 2008 to 2013, where he championed many important innovations in undergraduate teaching and learning. He is a Professor of Geography and Planning, and the Goldring Chair in Canadian Studies at the University of Toronto. He is a co-founder of a large research program at U of T’s Munk School of Global Affairs investigating the role of city-regions as sites of innovation and creativity in the global economy. His work engages in comparative analysis of North American and European cities to understand how local social and cultural dynamics create the foundations for economic success and prosperity. He has served as an advisor to local, regional and national governments in Canada, the United States and Europe, as well as to international agencies such as the Organisation for Economic Cooperation and Development (Paris) and the European Union. He has authored or edited six books, including Manufacturing Culture: The Institutional Geography of Industrial Practice and The Oxford Handbook of Economic Geography (with Gordon Clark and Maryann Feldman). He has held visiting appointments at Oxford, University College London, UCLA, and the University of Oslo. He is a Fellow of the Royal Society of Canada, and received the 2007 Award for Scholarly Distinction in Geography from the Canadian Association of Geographers. In 2012, he was elected as an Academician of the Academy of Social Sciences (UK). He holds a doctor of philosophy honoris causa from Lund University in Sweden. Randall Hansen is Director of the Centre for European, Russian, and Eurasian Studies, Munk School of Global Affairs and Full Professor and Canada Research Chair in Immigration & Governance in the Department of Political Science at the University of Toronto. He works on 20th century European politics and history. His published works include Disobeying Hitler: German Resistance after July 20, 1944 (New York: Oxford University Press, 2013), Sterilized by the State: Eugenics, Race and the Population Scare in 20th Century North America (New York: Cambridge University Press, 2013), Fire and Fury: the Allied Bombing of Germany (Doubleday, 2008), and Citizenship and Immigration in Post-War Britain (OUP, 2000). He has also co-edited Immigration and Public Opinion in Liberal Democracies (with David Leal and Gary P. Freeman) (New York: Routledge, 2012), Migration States and International Cooperation (with Jeannette Money and Jobst Koehler, Routledge, 2011), Towards a European Nationality (w. P. Weil, Palgrave, 2001), Dual Nationality, Social Rights, and Federal Citizenship in the U.S. and Europe (w. P. Weil, Berghahn, 2002), and Immigration and asylum from 1900 to the present [w. M. Gibney, ABC-CLIO, 2005]. He appears regularly on TVO’s The Agenda, and has written for and been quoted in the national and international press. Matthew J. Hoffmann is an Professor of Political Science at the University of Toronto and the University of Toronto Scarborough. His research and teaching interests include global environmental governance, climate change politics, multilateral treaty-making, and complex systems analysis. In addition to a number of articles and book chapters on global governance and environmental politics, he is the author of Ozone Depletion and Climate Change: Constructing a Global Response (SUNY Press 2005) and coeditor with Alice Ba of Contending Perspectives on Global Governance (Routledge 2005). His latest book Climate Governance at the Crossroads: Experimenting with a Global Response after Kyoto will be published in early 2011 by Oxford University Press. Gustavo Indart is Associate Professor, Teaching Stream in the Department of Economics and an associate member of the graduate faculty of the Department of Political Science. He has worked as consultant to the Inter‑American Development Bank on poverty and income distribution in Paraguay and Nicaragua and has participated in numerous research and capacity-building projects throughout Latin America. He is the editor of Economic Reforms, Growth and Inequality in Latin America (Ashgate, 2004) and the co-editor of Critical Issues in International Financial Reform (Transaction Publishers, 2003). Professor Indart received his B.A., M.A., and Ph.D. from the University of Toronto. Andres Kasekamp is Chair of Estonian Studies at the Munk School of Global Affairs, affiliated faculty at the Centre for European, Russian, and Eurasian Studies, and professor in the Department of History at the University of Toronto. Before returning to U of T, Andres Kasekamp was Professor of Baltic Politics at the University of Tartu in Estonia and Director of the Estonian Foreign Policy Institute. He has also been a visiting professor at Humboldt University Berlin and a visiting researcher at the Norwegian Institute of International Affairs. His first book was The Radical Right in Interwar Estonia (Palgrave 2000). His second book, A History of the Baltic States (Palgrave 2010), has been translated into nine languages. His research interests include populist radical right parties, memory politics, European foreign and security policy, and cooperation and conflict in the Baltic Sea region. He has served as the editor of the Journal of Baltic Studies, and is currently the President-Elect of the Association for the Advancement of Baltic Studies. Prof. Kasekamp has appeared as an expert in the foreign affairs committee of the parliaments of Canada, Estonia, Finland and the European Union, as well as the Baltic Assembly. Mark Kersten is a Fellow, researcher, and consultant based at the Munk School of Global Affairs, University of Toronto, as well as the Deputy Director of the Wayamo Foundation. Mark’s research and work focuses on: the investigation and prosecution of international crimes; mass atrocity responses and prevention; the effects of judicial interventions by the International Criminal Court (ICC) on conflict, peace, and justice processes; capacity-building and domestic accountability for international crimes; and the nexus between mass atrocities and transnational organized crimes. In 2011, Mark founded the blog Justice in Conflict, which regularly publishes articles on the challenges of pursuing transitional justice in the context of ongoing violent political conflicts. His work has also appeared in various academic journals and edited volumes, as well as in media publications such as The Globe and Mail, Foreign Policy, and The Washington Post. His full academic CV can be found here. Mark has taught courses on genocide studies, the politics of international law, diplomacy, and conflict and peace studies at the London School of Economics, SOAS, and the Trudeau Centre for Peace, Conflict, and Justice. He holds an MSc and Phd in International Relations from the London School of Economics and a BA (Hons) from the University of Guelph. In 2016, Oxford University Press published Mark’s book, Justice in Conflict – The Effects of the International Criminal Court’s Interventions on Ending Wars and Building Peace. The book seeks to re-imagine how to study the effects of the ICC on conflict, peace, and justice processes and applies a novel analytical framework to the cases of northern Uganda and Libya. Mark has previously been a Research Associate at the Refugee Law Project in Uganda, and as researcher at Justice Africa and Lawyers for Justice in Libya in London. Teresa Kramarz is the Director of Munk One, a program for first year undergraduate students at the Munk School of Global Affairs, and Deputy Director of the Master of Global Affairs. An expert on international organizations and global governance, with emphasis on global environmental politics, her work has examined the impact of the World Bank’s public-private partnerships on democracy, innovation, and financially sustainable conservation governance, the legitimacy of the World Bank as a global knowledge actor, and the local/global relationship in the provision of global public goods. She has current and upcoming publications with Review of Policy Research, Global Environmental Politics, Springer, Oxford University Press, and the Institute on Globalization and the Human Condition. Dr. Kramarz has extensive experience in her field having worked for almost ten years with the World Bank, the United Nations Development Programme, the Food and Agricultural Organization, and the Canadian International Development Agency on sustainable development programs, institutional analysis and capacity building for the biodiversity, climate change and decertification conventions. Tong Lam is an Associate Professor in the Department of Historical Studies and the Graduate Department of History. His research is on the modern and contemporary history of China, with emphases on empire and nation, governmentality, knowledge-production, as well as urban space and ruins. His first book, A Passion for Facts: Social Surveys and the Construction of the Chinese Nation-State, 1900-1949 (Berkeley: University of California Press, 2011), analyzes the profound consequences of the emergence of the technologies of the “social fact” and social survey research in modern China. His new book-length project, The Qing Empire Strikes Back, is a study of late Qing China’s ambitious attempt to transform itself into a modern colonial power in an era of intense imperialist rivalries. Lam’s ongoing research also examines the prevalence of designer architectures, urban ruins, and derelict spaces in post-socialist China’s spectacular and speculative development. As a visual artist, Lam uses photographic techniques to carry out ethnographic studies of contemporary China’s hysterical transformation. At present, he is working on a photo essay book on industrial and post-industrial ruins and abandonment from around the world. Lam is also involved in a number of collaborative initiates, including a project on the history of science and technology in China and India, as well as a SSHRC funded trans-media study of the changing technologies of film projection in China’s countryside. The products of this latter project include a documentary film, large format photographs, photo essays, and art installations. He also cofounded the Critical China Studies Working Group and organized an international conference on Architectural Spectacle and Urbanism in (Post)socialist China. Ron Levi is Director of Global Strategies, Munk School of Global Affairs. He has previously served as Director of the Master of Global Affairs program and the Trudeau Centre for Peace and Conflict Studies, and as Graduate Coordinator at the Centre for Criminology and Sociolegal Studies. Levi was a Fellow and Scholar in the Successful Societies program of the Canadian Institute for Advanced Research for seven years, and recently completed his mandate as Canada’s Priority Leader for Justice, Policing & Security with the Metropolis Project. Ron is also the George Ignatieff Chair of Peace and Conflict Studies at the University of Toronto, where he is Associate Professor of Global Affairs and Sociology and is cross-appointed to the Departments of Political Science and Criminology and Sociolegal Studies. Jon R. Lindsay is Assistant Professor of Digital Media and Global Affairs at the University of Toronto Munk School of Global Affairs. His research examines the impact of technology on international security, with emphasis on cybersecurity, military power, and grand strategy. Recent publications include China and Cybersecurity: Espionage, Strategy, and Politics in the Digital Domain (Oxford University Press, 2015), co-edited with Tai Ming Cheung and Derek Reveron, and articles in International Security, Security Studies, Journal of Strategic Studies, and Technology and Culture. His current book project on information technology and military power, Technology at War: The Politics of Control Systems, explains how strategic and organizational factors shape the performance of battlefield data networks, cyber warfare, and unmanned drones. He is also a principal investigator for a major multi-institutional project funded by the U.S. Department of Defense Minerva Initiative analyzing the effects of increasing sociotechnical complexity on the theory and practice of deterrence. Dr. Lindsay holds a Ph.D. in Political Science from the Massachusetts Institute of Technology and an M.S. in Computer Science and B.S. in Symbolic Systems from Stanford University. He has served as an intelligence officer in the U.S. Navy with assignments in Europe, Latin America, and the Middle East, including a combat tour in Iraq. Peter Loewen is a Professor in the Munk School of Global Affairs & Public Policy and the Department of Political Science. He was previously the Director of the School of Public Policy & Governance and the Centre for the Study of the United States. He is interested in how politicians can make better decisions, in how citizens can make better choices, and how governments can develop better policy. He has published in leading journals of political science, economics, psychology, biology, and general science, as well as popular press work in the Washington Post, San Francisco Chronicle, Globe and Mail, National Post, and Ottawa Citizen. His research has been funded by SSHRC, the European Research Council, the Government of Ontario, and other organizations. He regularly engages in public debate and acts as a consultant to several public and private organizations. He received his PhD from the Université de Montréal and his BA from Mount Allison University. He is spending the 2018-2019 year as a Fellow at the Center for Advanced Study in the Behavioral Sciences at Stanford University. He has previously held visiting positions at Princeton University and the University of Melbourne. Mark S. Manger (PhD UBC) is the Director, Master of Global Affairs program. He is also an Associate Professor at the Munk School of Global Affairs specializing in Political Economy. His prior appointments were Lecturer for International Political Economy at the London School of Economics, Assistant Professor in the Department of Political Science at McGill, and Advanced Research Fellow in the Program on US-Japan Relations at the Weatherhead Center for International Affairs at Harvard University. Professor Manger is the author of Investing in Protection: The Politics of Preferential Trade Agreements between North and South (Cambridge University Press, 2009), and of articles published or forthcoming in The Journal of Conflict Resolution, Review of International Political Economy, and World Development. His research focuses on North-South economic relations and the Asia Pacific region. Dave Michalski has over 14 years working and living abroad in both secure and insecure locations for MSF (Doctors Without Borders) in Afghanistan, Pakistan, Russia, Botswana, Somalia, Ethiopia, Eritrea, Kenya, Libya, South Sudan, Guinea, Egypt, Turkey, Syria, Bahrain, Lebanon, Thailand, Burma, Belgium, United Arab Emirates. His Masters dissertation was on the consequences of the West’s failure to engage with the Islamic Court Union in 2006 Somalia. He has been involved in several crisis response teams including ones involving kidnappings, most recently as head of the crisis management team at the Turkish border that secured the release in April and May of 2014 of 5 MSF hostages held in Syria. David Morley is the President and CEO of UNICEF Canada, a leading humanitarian organization dedicated to helping children around the world survive, thrive and reach their full potential. In his current capacity at UNICEF Canada, David is responsible for leading the growth of the organization, shaping strategies to advance its mission with supporters and key stakeholders and providing the strategic vision and leadership necessary to deliver its mandate. Under David’s leadership, UNICEF Canada has played a key role in driving Canadian efforts to advance global child survival and mobilized Canadians across the country in an unprecedented response to the Syrian humanitarian crisis. An internationally recognized expert on humanitarian response, sustainable development and child well-being, David also sits on UNICEF’s Global Management Team, lending his expertise to the organization’s worldwide efforts to achieve meaningful progress for children. Prior to joining UNICEF Canada, David served as Executive Director of Médecins Sans Frontières/Doctors without Borders Canada, as President and CEO of Save the Children Canada and was the founding Executive Director of the Institute for Canadian Citizenship. A recognized leader in the field, David currently teaches at the Munk School of Global Affairs at the University of Toronto, and is the Chair of the Canadian Partnership for Women and Children’s Health. He has also served on the Board of Directors for several prominent organizations, including the Stephen Lewis Foundation and the Canadian Council for International Cooperation and has acted as a mentor with the Trudeau Foundation. An award-winning author of two best-selling books, including Healing Our World: Inside Doctors without Borders, David’s career has taken him around the world, from sub-Saharan Africa to South and Central America. In recognition of his dedication to global sustainable development, he received the Commemorative Medal for the 125th Anniversary of Confederation and the Queen’s Jubilee Medal. David completed his Master of Education from the University of British Columbia and a Bachelor of Arts in History from Carleton University. He is married to Elizabeth and they have two children and three grandchildren. Peter Morrow is an Assistant Professor in the Department of Economics, University of Toronto. He completed his PhD in Economics at the University of Michigan in 2007. He served as a Senior Research Associate at the Federal Reserve Bank of Boston from 1998-2001. His research interests include international trade, applied microeconomics, and development. Dr. Laura Niemi is an Assistant Professor in Social Psychology and Global Justice at the Munk School of Global Affairs and Public Policy. Dr. Niemi began at the University of Toronto in 2018 and teaches at the Trudeau Centre for Peace, Conflict and Justice. Prior to arriving at the University of Toronto, she completed research fellowships at Duke University and Harvard University. She received her Ph.D. in Social Psychology and Social Neuroscience from Boston College. Darius Ornston is an Assistant Professor at the Munk School of Global Affairs at the University of Toronto, where he specializes in the political economy of Western Europe. Dr. Ornston’s first book, When Small States Make Big Leaps (Cornell University Press), examines how Denmark, Finland and Ireland leveraged private-public, industry-labour and inter-firm cooperation to assume surprisingly competitive positions in emerging, high-technology markets. His research on Nordic Europe and the politics of high-technology competition has also been published by Comparative Political Studies, Governance, Review of Policy Research, West European Politics, the World Bank and the OECD. Dr. Ornston is currently drafting a second book manuscript, Good Governance Gone Bad, which explains how the same cohesive social networks that underpin successful economic adjustment in Nordic Europe can also lead to policy overshooting and economic crises. His current research interests also include the design of “Schumpeterian” developmental agencies, the politics of radical institutional change, the evolution of the state in advanced, industrialized economies, and the political economy of cities. Before joining the Munk School of Global Affairs, Dr. Ornston worked as an assistant professor at the Department of International Affairs at the University of Georgia. He earned a Ph.D. in Political Science from the University of California at Berkeley in 2009. Louis W. Pauly holds the Canada Research Chair in Globalization and Governance at the University of Toronto, where he was originally appointed a professor of international relations and comparative politics in 1987. As director of the Centre for International Studies from 1997 to 2011, he helped build the Munk Centre, which in 2010 became the Munk School of Global Affairs. He now serves as Director, Research Programs in the Munk School. A graduate of Cornell University, the London School of Economics, New York University, and Fordham University, he has been a visiting professor at Oxford University, Northwestern University, and Osaka City University. Before joining the Department of Political Science at the U of T, he held management positions in the Royal Bank of Canada, won an International Affairs Fellowship from the Council on Foreign Relations, and served on the staff of the International Monetary Fund. His personal and collaborative publications include Globalization and Autonomy (forthcoming), Hong Kong’s International Financial Centre (Savantas Policy Institute, 2011), Global Ordering: Institutions and Autonomy in a Changing World (UBC Press, 2008), Global Liberalism and Political Order: Toward a New Grand Compromise? (SUNY Press, 2007), Complex Sovereignty: Reconstituting Political Authority in the Twenty-First Century (U of T Press, 2005), Governing the World’s Money (Cornell University Press, 2002), Democracy beyond the State? The European Dilemma and the Emerging Global Order (U of T Press and Rowman & Littlefield, 2000), The Myth of the Global Corporation (Princeton University Press, 1998), Who Elected the Bankers? Surveillance and Control in the World Economy (Cornell University Press, 1997), Opening Financial Markets (Cornell University Press, 1991). With Emanuel Adler, he edits International Organization, a top-ranked journal in the fields of international relations and international political economy. Caroline du Plessix is a sessional lecturer in Global Policy Analysis at the Master of Global Affairs at the Munk school of Global Affairs. She is also a Research Fellow at the French Research Centre in Jerusalem (CRFJ – CNRS). She was a Postdoctoral fellow at the Truman institute for the advancement of peace as a well as at the Hebrew University of Jerusalem, European Forum. She was also a lecturer at Sciences Po Paris and at the Rouen Business School (Neoma). She obtained her Ph.D in Political Science and European Studies at Sciences po Paris in 2013. Her research interests include: the Foreign Policies of the European Union and its Member States, European Security, International Security Policies, Israel’s relations with the world, and the Israeli-Palestinian conflict. She has published several articles regarding the European Union’s Foreign Policy towards the Israeli-Palestinian Conflict, EU-Israel relations, EU Peacemaking Policy and Israel-Iran relations. Vince Pranjivan is an Assistant Commissioner with the Canada Revenue Agency, holds a Masters Degree in Business Administration and is a Chartered Professional Accountant. Vince is a seasoned professor with many years of experience in teaching at the University of Toronto and other institutions, using both in-class and on-line environments. Vince has a significant track record of innovative leadership in both operational and strategic domains, and leads the largest regional organization, with over 14,000 people, within the Government of Canada. Jeffrey G. Reitz is Professor of Sociology, R.F. Harney Professor of Ethnic, Immigration, and Pluralism Studies, and Director of the Collaborative Graduate Program in Ethnic and Pluralism Studies at the Centre for International Studies within the University of Toronto. Professor Reitz’s research interests include the employment experiences of immigrant and ethnic populations in the emerging knowledge-based economies of Canada, the U.S., and Australia, and the impact of diversity on national cohesion. He is the recent editor of Host Societies and the Reception of Immigrants (University of California San Diego 2003), co-editor, with Charles M. Green and Alan Green, of Canadian Immigration Policy for the 21st Century (John Deutsch Institute for the Study of Economic Policy, 2003), and co-author (with Rupa Banerjee) of “Racial Inequality, Social Cohesion, and Policy Issues in Canada” (Institute for Research on Public Policy, 2007). Professor Reitz holds a BS and PhD from Columbia University. John Robinson joined the Munk School on Jan 1, 2016, as a Full Professor, with a cross-appointment in the School of the Environment. Professor Robinson has a global reputation in the areas of urban sustainability, building sustainability, community engagement processes, and university sustainability programming. From 1992-2015 he was Professor with the Institute for Resources, Environment & Sustainability, and the Department of Geography at The University of British Columbia (UBC). From 2012-15, he was Associate Provost, Sustainability, at UBC. He is currently an Adjunct Professor with the Copenhagen Business School, where he is leading the sustainability component of their campus redevelopment process. Prof. Robinson’s own research focuses on the intersection of climate change mitigation, adaptation and sustainability; the use of visualization, modeling, and citizen engagement to explore sustainable futures; sustainable buildings and urban design; creating partnerships for sustainability with non-academic partners; and, generally, the intersection of sustainability, social and technological change, behaviour change, and community engagement processes. In 2012 Dr. Robinson received the Metro Vancouver Architecture Canada Architecture Advocacy Award and was named Environmental Scientist of the Year by Canadian Geographic magazine. In 2011, he received the Canada Green Building Council Education Leadership Award, and in 2010 he was given BC Hydro’s Larry Bell Award for advancing energy conservation in British Columbia. He was a Fellow of the Pierre Elliot Trudeau Foundation from 2008-11, and, as a Lead Author, he contributed to the 1995, 2001 and 2007 reports of the Intergovernmental Panel on Climate Change, which won the Nobel Peace Prize in 2007 with Al Gore. At the Munk School, Prof. Robinson is a member of the Environmental Governance Lab and teaches in the MGA program. Paola Salardi is an Assistant Professor, Teaching Stream in the Trudeau Centre for Peace, Conflict, and Justice at the Munk School of Global Affairs and Public Policy where she works on the long-term development legacy of violent conflict. She completed a PhD in Economics from the University of Sussex in January 2013, focusing on the analysis of labor market discrimination by gender and race in Brazil. She is also a Research Consultant at the Institute of Development Studies (IDS) and she has previously worked at the Inter-American Development Bank. Paola has published work in the World Bank Economic Review and the Review of Income and Wealth, while she has been involved in several projects for the World Bank and the UN. She is currently working on a number of additional research projects focused on the changing role of women in post-conflict countries, the short and long-term consequences of conflict on human capital accumulation, the role of institutions in shaping the presence of violence, and the impact of natural resource wealth on governance outcomes. Ayelet Shachar is Professor of Law and holder of the Canada Research Chair in Citizenship and Multiculturalism. She has published extensively on citizenship theory, immigration law, highly skilled migration and global inequality, multiculturalism and women’s rights, law and religion in comparative perspective, and transnational legal process. Professor Shachar is the author of Multicultural Jurisdictions: Cultural Differences and Women’s Rights (Cambridge, 2001), for which she won the APSA Best First Book Award. This work has proved influential, intervening in actual public policy and legislative debates. It was cited, most recently, by England’s Archbishop of Canterbury and the Supreme Court of Canada (Bruker v. Marcovitz). Her new book, The Birthright Lottery: Citizenship and Global Inequality (Harvard, 2009) has been selected as a 2010 Notable Book by the International Studies Association, International Ethics Section. She has been awarded scholarly distinctions and research fellowships in Canada and abroad. Most recently, she served as the Leah Kaplan Visiting Professor in Human Rights at Stanford Law School, and the Jeremiah Smith Jr. Visiting Professor at Harvard Law School. Enid Slack is the Director of the Institute on Municipal Finance and Governance at the Munk School of Global Affairs. Her research interests include the finance and governance of large metropolitan areas, infrastructure financing, intergovernmental fiscal arrangements, and property taxes. Recent publications include International Handbook of Land and Property Taxation (co-edited with Richard Bird, 2004), UN Habitat Guide to Municipal Finance (2009), and Finance and Governance of Capital Cities in Federal Systems (co-edited with Rupak Chattopadhyay, 2009). Currently, she is working on a project on municipal finance reforms in Mongolia for the Asian Development Bank and co-editing a book with Rupak Chattopadhyay on the Finance and Governance of Large Metropolitan Areas in Federal Systems. Enid chairs the Intergovernmental Committee for Economic and Labour Force Development in Toronto (ICE) and is a member of the Associations Advisory Committee of the Ontario Municipal Knowledge Network (OMKN), the Policy and Research Advisory Council of The Learning Partnership, and the Advisory Board of the International Property Tax Institute (IPTI). Enid holds a BA (Hons.) in Economics from York University (Glendon College), and an MA and PhD in Economics from the University of Toronto. Craig Damian Smith earned his Ph.D. from the Department of Political Science at the University of Toronto. His research focuses on migration, displacement, European foreign policy, and refugee integration. His doctoral thesis “Malignant Europeanization: Schengen, Irregular Migration Governance, and Insecurity on Europe’s Peripheries” examines the effects of European migration governance on transit states. He has conducted several years of fieldwork throughout the Middle East, North Africa, Western Balkans, and Europe. His current SSHRC-funded research looks at the effects of social networks on refugee integration. In addition to his scholarly work, he has provided media commentary on migration and refugee issues to outlets including the BBC, CBC, and NBC. Janice Stein is the Belzberg Professor of Conflict Management in the Department of Political Science and the Director of the Munk School of Global Affairs. She is widely recognized as one of the world’s leading scholars of political psychology and international politics. Professor Stein has also looked beyond international behaviour to examine concepts that govern policy-making locally and globally. Her most recent publications include The Cult of Efficiency (2001), the best-selling book that examined the concepts of efficiency underpinning the design and evaluation of public goods and services, and The Unexpected War: Canada in Kandahar (2007), which won the prestigious 2008 Shaughnessy Cohen Award for Political Writing, and examines and critiques Canada’s decisions to commit its forces in Afghanistan. A Fellow of the Royal Society of Canada and a member of the Order of Canada and the Order of Ontario, Professor Stein was also the 2001 Massey Lecturer and a Trudeau Fellow. She was awarded the Molson Prize by the Canada Council for an outstanding contribution by a social scientist to public debate. She is an Honorary Foreign Member of the American Academy of Arts and Sciences. She has been awarded Honorary Doctorates of Laws by the University of Alberta, the University of Cape Breton, and McMaster University. Robert Steiner is Director of the Fellowships In Global Journalism at the Munk School of Global Affairs, University of Toronto. The Fellowships are a fundamentally new type of post-graduate training in global journalism, for starting journalists with advanced knowledge of complex disciplines. Mr. Steiner began his career as a global finance correspondent for The Wall Street Journal with postings in New York, Hong Kong and Tokyo, where he was a finalist for the Pulitzer Prize, won two Overseas Press Club awards and the Inter-American Press Association Award. After leaving The Wall Street Journal Mr. Steiner received his Master of Business Administration from the Wharton School at the University of Pennsylvania and then worked as a business strategy executive, first at The Boston Consulting Group and later as Group Vice President in charge of Strategic Planning for Bell Globemedia, parent of the Globe and Mail and CTV. From 2005 to 2010, Mr. Steiner was Assistant Vice President of the University of Toronto, in charge of Strategic Communications. Mr. Steiner has also held a number of senior campaign positions in Canadian politics. In 2003 and 2002, he served as health policy advisor and principal speechwriter for Hon. Paul Martin, during his candidacy for the premiership of Canada and during his subsequent tenure as Prime Minister-designate. In 2000, Mr. Steiner managed the Liberal Party of Canada’s new media campaign in the period leading to and during the federal general election, working for Prime Minister Jean Chretien. Outside of work, Mr. Steiner is engaged in independent writing projects focused on the role of religion in secular society. He lives in Toronto with his wife, daughter and son. Robert Vipond is a Professor and former Chair in the Department of Political Science and Director of the Dynamics of Global Change Collaborative PhD program at the Munk School of Global Affairs.His research interests centre on Canadian and American constitutionalism. Current research examines the ways in which American “rights talk” influenced Canadians in the 1960s and 1970s. Mitchell Wigdor is a lawyer and a business consultant specializing in international and domestic corporate transactions and finance with over twenty-five years’ experience structuring and negotiating joint ventures, strategic alliances and acquisitions in Asia (primarily Southeast Asia and greater China), Europe and North America. He has acted as an expert advisor to international organizations and, prior to establishing his own advisory services firm, Nextep Strategy Inc., Mitchell was a partner in the Toronto law firm of Blake, Cassels & Graydon. Mitchell is the author of No Miracle: What Asia Can Teach All Countries About Growth (Ashgate: 2013). Presenting detailed case studies of the institution building efforts of Singapore and Malaysia, the book examines the role of institutions in economic development with a focus upon the institutions that mediate the relationship between information technology usage and growth. Mitchell is an Adjunct Professor at the University of Toronto, Faculty of Law where he teaches a course on investment and growth in emerging economies to JD, LLM and MGA students. Mitchell is a graduate of Harvard College (A.B. ), the London School of Economics and Political Science (M.Sc. ), McGill Law School (B.C.L.-LL.B.) and the University of Toronto (S.J.D.). He is a member of the Bars of Ontario and Quebec and is the Honorary Consul for Malaysia in Toronto. David A. Wolfe is Professor of Political Science at the University of Toronto at Mississauga and Director of the Program on Globalization and Regional Innovation Systems (PROGRIS) at the Munk School of Global Affairs. His research interests include the political economy of technological change and the role of local and regional economic development, with special reference to Canada and Ontario. PROGRIS serves as the national secretariat for the Innovation Systems Research Network (ISRN), funded by the Social Sciences and Humanities Research Council of Canada. He is National Coordinator of the ISRN and from 2001 to 2005 he was the Principal Investigator on its Major Collaborative Research Initiative grant on Innovation Systems and Economic Development: The Role of Local and Regional Clusters in Canada, a comparative study of twenty-six industrial clusters across Canada. Along with Meric Gertler, he was awarded an MCRI grant from SSHRC on the Social Dynamics of Economic Performance: Innovation and Creativity in City Regions, which runs from 2006 to 2010. Joseph Wong is the Ralph and Roz Halbert Professor of Innovation at the Munk School of Global Affairs, Professor of Political Science, and Canada Research Chair in Health, Democracy and Development. He was the Director of the Asian Institute at the Munk School from 2005 to 2014. Wong is the author of many academic articles and several books, including Healthy Democracies: Welfare Politics In Taiwan and South Korea and Betting on Biotech: Innovation and the Limits of Asia’s Developmental State, both published by Cornell University Press. He is the co-editor, with Edward Friedman, of Political Transitions in Dominant Party Systems: Learning to Lose, published by Routledge. Wong recently co-edited with Dilip Soman and Janice Stein Innovating for the Global South with the University of Toronto Press. Professor Wong has been a visiting scholar at major institutions in the US (Harvard), Taiwan, Korea, and the UK (Oxford); has worked extensively with the World Bank and the UN; and has advised governments on matters of public policy in Asia, Africa, the Americas, and Europe. Wong’s current research focuses on poverty and social policy innovation. He is also working with Professor Dan Slater (Chicago) on a book about Asia’s development and democracy. Wong was educated at McGill and the University of Wisconsin-Madison. Wendy Wong is Assistant Professor in the Department of Political Science at the University of Toronto. She received her PhD from the University of California, San Diego, in 2008. Her research interests include transnational advocacy networks, non-state actors, comparative organizations, social movements, and human rights. She has a forthcoming book on Cornell University Press, entitled Internal Affairs: How the Organizational Structure of NGOs Creates International Human Rights. Her work has also appeared in Human Rights Review, and in Credibility and Non-Governmental Organizations in a Globalizing World, eds. Peter Gourevitch, David A. Lake, and Janice Gross Stein (Cambridge, forthcoming) and Networked Politics, ed. Miles Kahler (Cornell, 2009). In 2010-11, she was a Junior Fellow with the Successful Societies program, Canadian Institute for Advanced Research. She is currently working on a SSHRC-funded project on the framing of minority rights issues by NGOs and the relationship between international law and domestic policy advocacy.